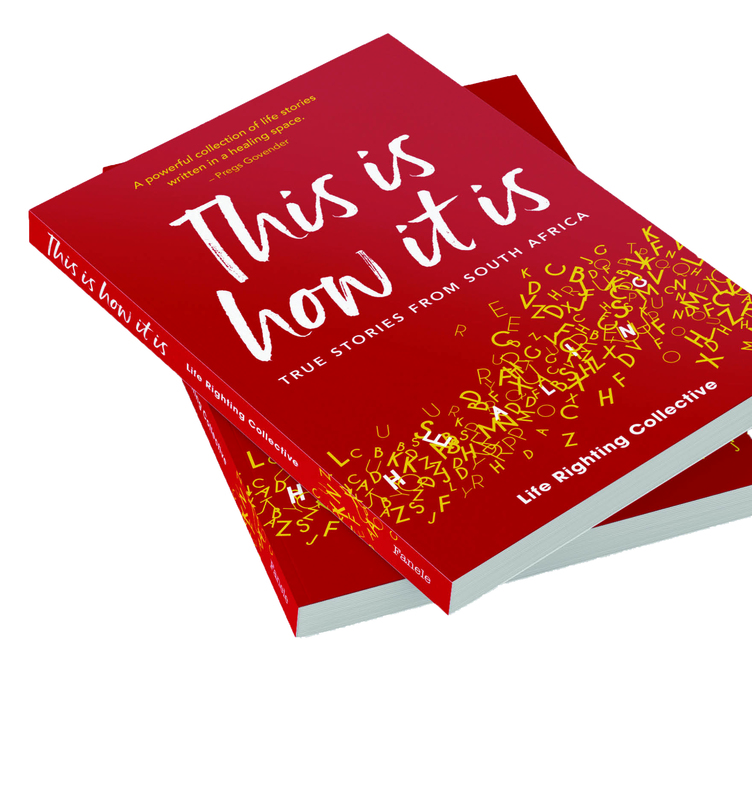 We’re thrilled, so so proud and delighted that our first anthology – This Is How It Is – is published! Just a little over a year ago, this was just a dream, a seed that took root and blossomed, an idea that grew wings and flew! 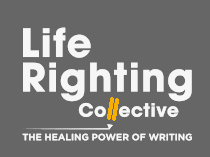 And we couldn’t have done it without the contributions of our many courageous life writing course participants and Life Righting Collective members. Our official launch takes place on 12 June at the Book Lounge 71 Roeland street Cape Town. RSVP booklounge@gmail.com or 021 462 2425. Our amazing, stunning, fabulous anthology is now available for sale in bookstores country-wide. Here’s LRC Exec team member Johan Jordaan’s pic from Exclusives at the Waterfront. In the meantime, there are celebratory parties and launches to be planned. Our first official launch takes place on Tuesday 12th June 2018 at The Book Lounge in Roeland street, Cape Town 5 30pm for 6pm. RSVP booklounge@gmail.com or call 021 462 2425. 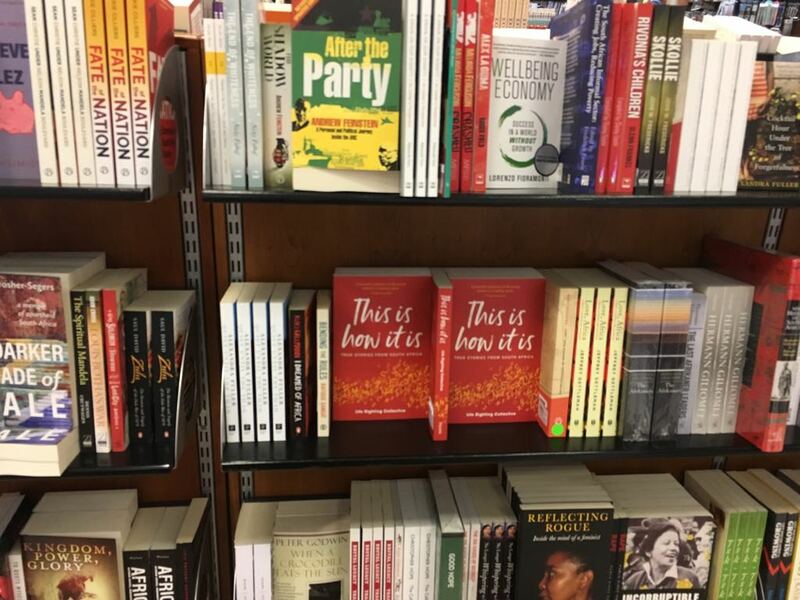 Join Linda Kaoma and Dawn Garisch as they discuss the Anthology in the context of sharing real-life South African stories to restore and reconcile a world in trouble. 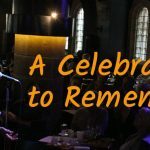 A selection of authors will read their work. Invite all your bookish friends. We’re planning on standing room only. 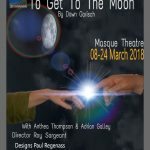 See details of our event on facebook here. See you there!